Nature can be your worst enemy, especially when it brings gallons of water at your doorstep. There is only so much you can do to protect yourself from its wrath! However, there is a lot that is still in your control. You can either wait for the flood to cause more damage than it already has or act fast. We bet our money on the latter! 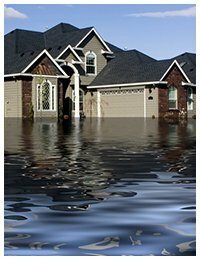 Homestead Emergency Restoration is a reliable flood damage remediation company that is prompt and equipped to help you contain the damage done by the forces of nature. You can rely on our services and depend on us to come to your aid fast. We have the experience and the technology to deal with disasters of all magnitude. We have also installed a 24/7 phone line - 786-408-2426 – that is operational for clients in Homestead, FL area during emergencies like these. Trying to fix the problem on your own is like inviting more trouble. It is not ‘just water,’ it is a breeding ground for bacteria. Any water that is left behind will lead your structures through stages of gradual degradation, not to mention the formation of mold along the way which is a biohazard to people with respiratory disorders. You may think you are saving money by doing it on your own, but what you are really doing is escalating the problem that could have been mitigated by a professional. Are you trained to handle contaminated water or prepared to deal with threat of electrocution in case of exposed wires in flooding incidents? We think not. There is a protocol that is followed for safe removal of water, a lot of effort goes into complete drying of your property and then sanitization and restoration is a completely different ballgame that needs experts all the way! 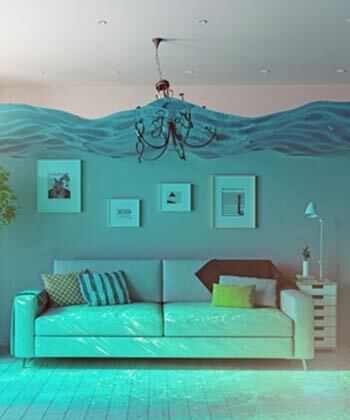 If you really must contribute to flood damage restoration, then shut off the main lines and move all your precious furniture items to a safe and dry location. After that, let an expert deal with it. Don't even try to extract all the water using local pumps you bought from the hardware store; they will not make the cut. Call Homestead Emergency Restoration because we have processes in place to deal with situations like these and minimize your losses too. After we arrive at your location, we analyze the safety and check if the structural integrity has been compromised in the process. Our experts will also run a thorough check of the property and take corrective steps only after they have protected themselves with safety gear. If you use a local pump for water extraction, it will be days before all the water is pumped out of your property. However, we use state-of-the-art extraction units, use dehumidifiers to remove all the moisture and disinfect the place to make it livable again. We will do everything we can recover as many items as possible. We also perform repairs and dispose all the destroyed items safely. We carry out a thorough restoration process to minimize the damage caused by flood. Are you struggling with a flooding issue in Homestead, FL area? Call us at 786-408-2426 right now!